The Cavenauts and the support team are back to the Campsite after the last full day of exploration, ready for the evening activities and some rest. The resupply team, the CNSAS team and an additional group are now back at tthe PiCaVe Refuge. A long walk was part of the programme for the cavenauts on day 5, but the breathtaking view was worth the effort. 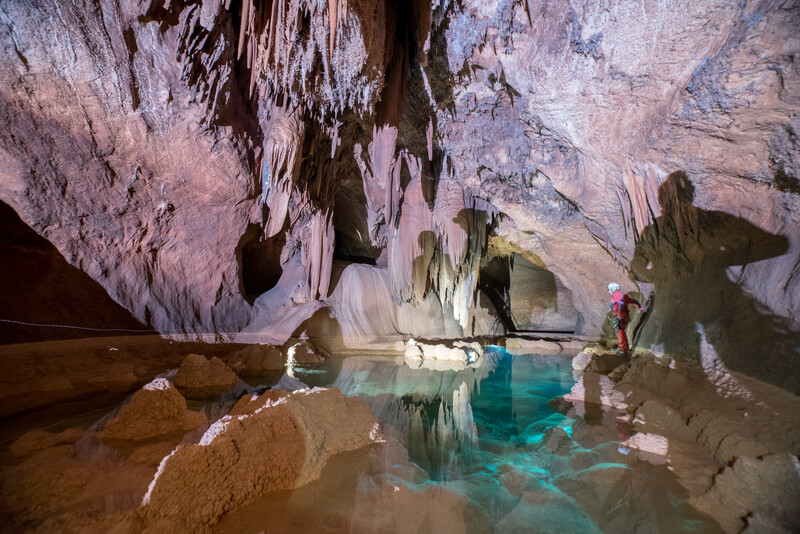 The massive “Jerico Wall” is located in a giant chamber featuring an ancient, huge landslide. 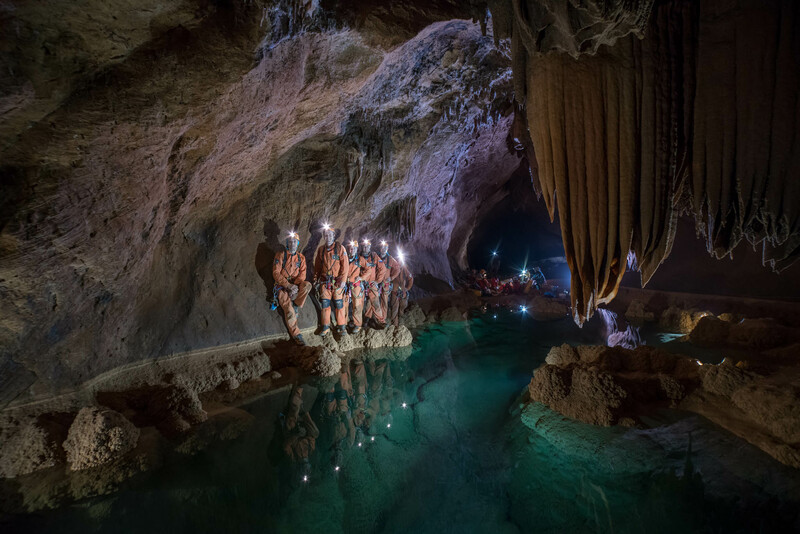 The cavenauts added data to a survey of the area made in 2014 and performed used photogrammetry to record speleothems in the “Monviso” region. 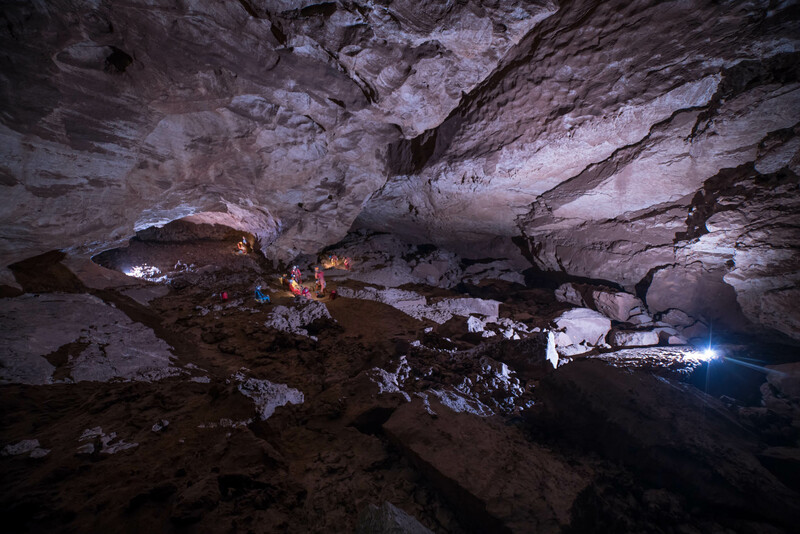 In the evening the crew started to prepare for the exit preparation including getting a good night’s rest for the cavewalk back to the cave entrance – and daylight. A support team of four provided limited resupplies and returned outside with small items and waste from the previous day. The members of the CNSAS remained at the campsite until shortly before the arrival of the cavenauts and support staff. 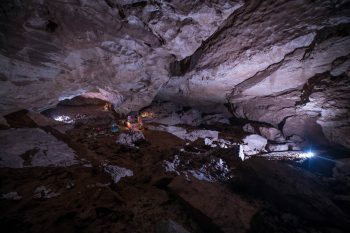 A team from the crew support staff left the cave in the early evening with items from the campsite.